Even though this may seem like an extreme example, this video plagues the insecurities couple face. Due to other couples blasting their relationships on Facebook, it is hard not to compare your happiness to another couple's or even another person. Looking at another person's Facebook page can spark jealousy. Wall posts and comments can be taken out of context. You cannot control who writes what on your wall, leaving nothing private. John David Ebert explores this idea further, saying we are not defined by our Facebook pages. However many couples tend to define themselves within the context of their Facebook pages and not the actual relationship. For example, a woman may get jealous a beautiful Facebook friend posted on her boyfriend's wall. However, this mysterious woman may not be actual friends with her boyfriend. While many say you can hold conversations on Facebook, the more friends you have, the more likely your conversation will disappear down your news feed. 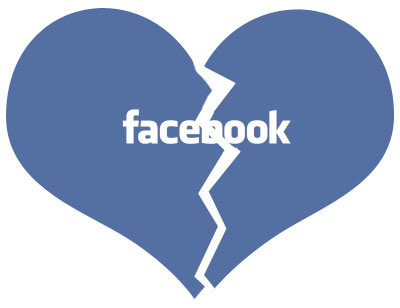 In Illana Greshon's article "Un-Friend My Heart: Facebook, Promiscuity, and Heartbreak in a Neoliberal Age", she discusses how many college students spoke about how they should deactivate their Facebook account or not announce a romantic relationship on Facebook. When evaluating Facebook and relationships, many students stated "they believed that Facebook transformed them into anxious, jealous, and monitoring selves that they did not want to be" (866). In the study she conducted with 72 college students, many claimed they did not notice how many Facebook friends they had but noticed how many friends they collect. Even though Facebook shows how many friends you have, it does not show the relationship you have with these individuals. As mentioned previously, this an cause uneasiness and jealousy in relationships because you cannot determine the meaning of a simply hi on a Facebook post. To some, this may seem friendly, while to others it can be threatening. The same goes beyond the written texts of Facebook. As the book Faceboook and Philosophy by D.E.Wittkower, he talks about how a poke on Facebook can imply being flirtatious or remind a person to review your term paper.